Our fees are competitive and we work with you to make our payment plans easy and affordable. Our consultations are free. 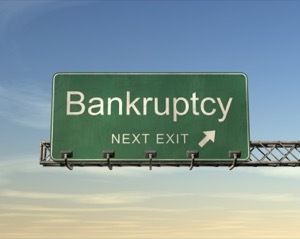 If bankruptcy seems like the best option for you, you can retain us for only $200. Once you know you will be getting a fresh start with the skilled, friendly and professional assistance of an attorney, you will feel a tremendous weight lifted off your shoulders immediately. You will know what bills you can just stop paying and what your debt free future will look like. After coming in to our office and finding out for sure bankruptcy will work for you, we can put you on an easy payment plan for the balance of your fees. We can provide you with a discount if you are able to pay our fees in full. Generally, for a Chapter 7, we need all our fees paid before we can file your case. However, in some situations we can accept only part of our fees up front, such as when someone is being garnished or has some other kind of emergency. In Chapter 13 cases, we usually only need part of our fees paid up front. The balance of our fees are paid through the debt consolidation plan. We charge flat fees, meaning you are not charged for every phone call or meeting we have with you or a creditor. Only in extremely rare cases would we ever charge you hourly. These rare cases usually involve something quite serious like a fraud accusation or an accusation that you are abusing the system, hiding property or falsifying your identity. Otherwise, you know exactly how much your bankruptcy will cost. There will be no shocks to find you have been charged for extra research of calls to the court.